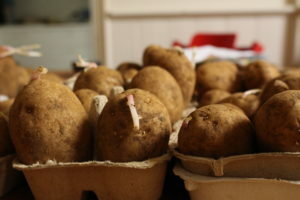 Chitting potatoes is one of those lovely old-fashioned garden rituals many of us in more frost prone areas love to undertake come late winter. 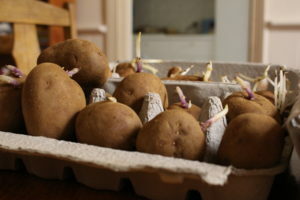 The word is a sweet old gardening term that basically means you get your tubers to sprout indoors a little while before planting. 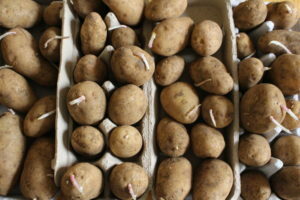 Chitting is very simple: take a few egg cartons and pop your seed potatoes in with the most eyes facing up. Place them on a cool windowsill and watch as they sprout before your very eyes. Some people like to rub of all but the strongest two sprouts in the hope of bigger potatoes while others opt to let all the sprouts run free. 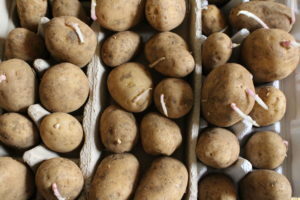 Chitted potatoes must be handled carefully when being planted (the sprouts can be vulnerable to breaking off when they’re knocked too hard), and are ready to go into beds when sprouts are at least 2cm long. 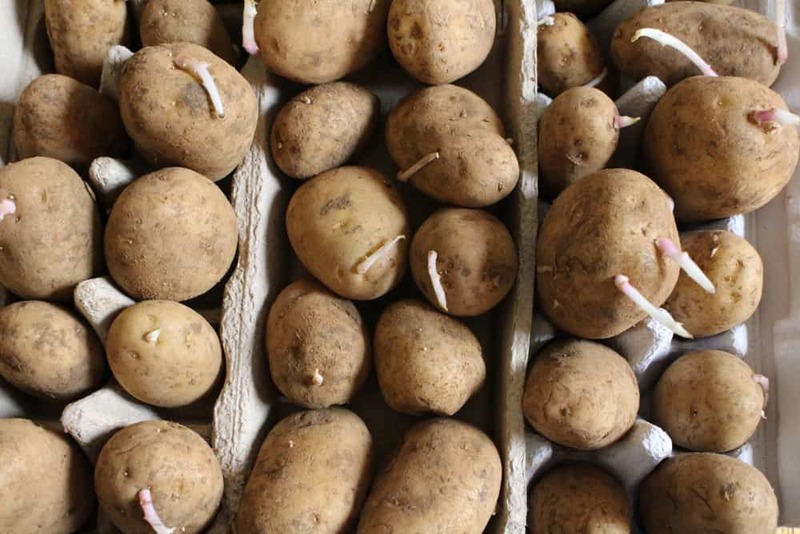 While chitting is not strictly necessary (un-chitted potatoes will still sprout and grow when planted), in areas where a late frost might set an early planting of potatoes back, chitting tubers before you’re clear of the last of the cold can be a great way to get a head start on your summer potato crop.